With the UK experiencing a worsening housing crisis, modular homes are seen by many as the future. With faster delivery times than traditional bricks and mortar properties, these factory-built homes that are erected on-site could help the government deliver on its promise to build 200,000 new homes every year, rising to around 300,000 within a decade. A new generation, a new style of prefab? The idea of factory-built homes is not new, of course. They were first used to solve the housing crisis after the end of World War II. In around 10 years, 600,000 prefabricated homes were built to cope with the return of troops from abroad. In the 1960s, as society changed, and people left their family homes at a younger age, demand for homes again exploded. In one year alone, 1968, the UK delivered 525,000 new homes. Many of these were prefabricated. One of the arguments against modular homes is that they are as expensive as traditionally built properties. However, some developers are building modular homes that allow the buyer to decide the level of fixtures and fittings. This allows the buyer to buy a ‘shell’, and finish the internal to their own likes and dislikes. This reduces the cost of their initial purchase and is an idea applauded by London Mayor Sadiq Khan, who has promised to build 90,000 affordable homes in double-quick time. This versatility of home styling makes modular homes ideal for inner city living, where there is a diversity of residents – young professionals, families, and older downsizers – all searching for their perfect home. The downsides of modular homes? Modern technology has improved today’s modular homes by leaps and bounds when compared to those of the 1940s, 50s, and 60s. They can be built faster, with a higher quality, and produce less waste. However, the overall cost of modular homes is not cheaper than traditional homes, and financing of developments can be difficult. Even so, large-scale investors like Legal & General are teaming up with developers and housing associations to invest in modular homes. Investment funding is a godsend to many developers building modular. This means less of their own money must be put down upfront to order the properties. The biggest benefit for property developers is the reduced delivery times. This means they can sell or rent quicker, thus achieving positive returns sooner. There is also a lower reliance on a scarce traditionally skilled labour force. Such benefits make developing inner-city sites – where brownfield costs are sending developers skybound – a more viable proposition. Developers can more easily build upwards, and this will mean a more effective ROI on the cost of land. 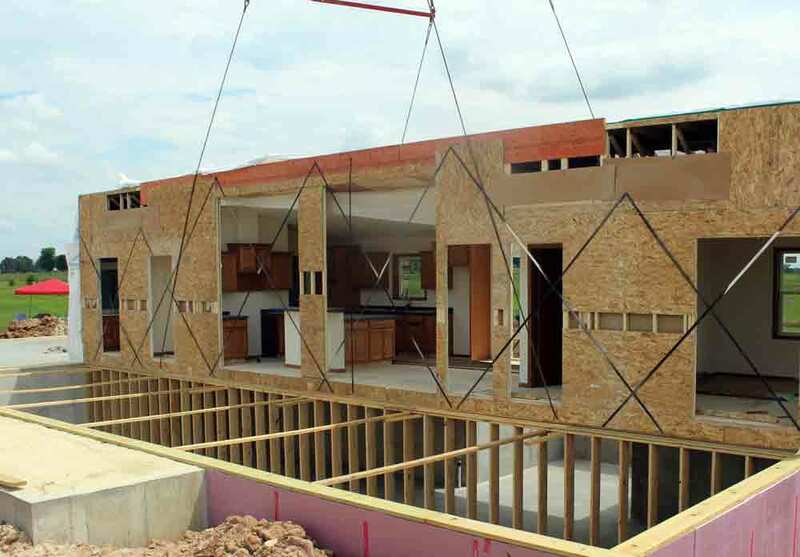 Some modular manufacturers are already examining modular building as a solution to the next phase of inner city development – building on existing roofs. The Mayor of London has proposed that two storeys can be added to buildings where the skyline would not be adversely affected. A modular rooftop building of 1,200 square feet is estimated to cost around £200,000, and like other modular designs can be customised to the buyer’s/occupant’s wishes. Once in place, it can be sold or rented at market value – and in London, this could provide an exceptional route to help relieve the housing crisis in the capital while boosting developer profits. Such a solution, where so many benefits, must surely be applauded. Call the Castlereach team on 0207 923 5680 and let us help you connect with the investors that can make a real difference to your sales – investors who applaud the advance of modular housing developments.